Split is an American psychological horror film directed by Manoj Night Shayamalan and tells the story about a man who has the multiple personality disorder of the highest order. 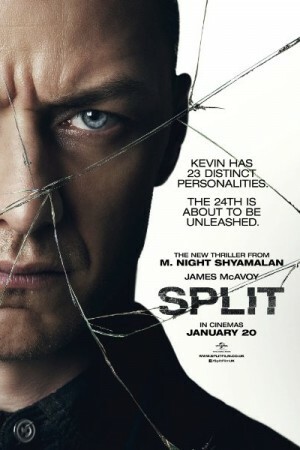 Kevin is a man who has criminal instincts and has 23 different personalities within him. He had abducted a few little girls and shows his personalities to all of them one by one. Somehow, he has managed to keep the 24th personality hidden from him as well, which is that of a beast. The film deals with psychological horror and different themes attached to it.